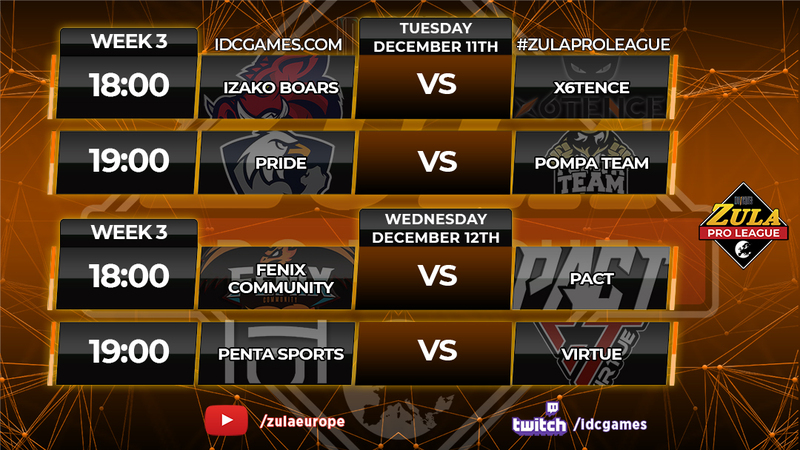 All the games of the second week of the Zula Europe Pro League have taken place. We have been able to enjoy a magnificent show in each and every one of them. The confrontations are more and more fought there are a lot of things in game. 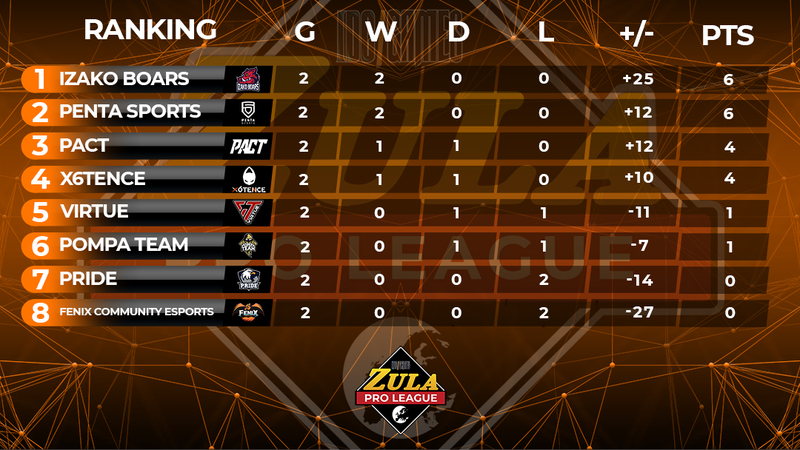 In the first match between VirtuE and PACT, we were able to see how the PACT players have taken the initiative and have reconsidered their situation to get their first victory in the Zula Europe Pro League. On the first map the PACT players managed to win with a result of 10 to 5 without giving any option to VirtuE players. In the attack rounds, VirtuE could only get two points, which were not enough to stop the subsequent PACT attacks. In the Wedding Hall, PACT got 6 rounds in attack obtaining a very favorable result before his defense turn. VirtuE's attack time was not effective enough, so PACT ended up winning. 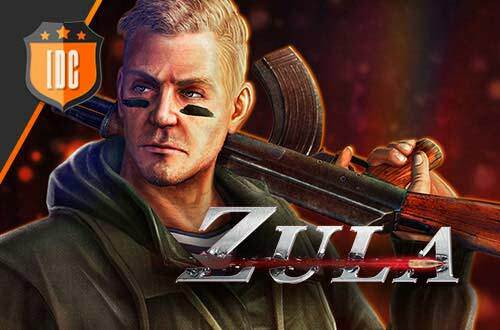 On this occasion the VirtuE team could not stand up to PACT, which showed that they have a great ambition to reach the top positions of the Zula Europe Pro League. The second match took place between PENTA Sports and Pompa Team. In the Wedding Hall the players of PENTA Sports surprised a lot by carrying out attack tactics through the hall that are not normally seen and that were one of the keys to get the victory. In the rounds of attack, PENTA Sports got 6 points and fell 3 against. In contrast, Pompa Team could not do anything in his turn to attack to avoid defeat on the first map. In Refugee’s Camp, Pompa Team could not stop the attacks of PENTA Sports, managing to win only 3 rounds and ending the defense turn with a result of 6 to 3 in favor of PENTA. On the other hand, PENTA Sports only conceded 4 rounds in its turn of defense, so they reached the victory with a result of 10 to 7. 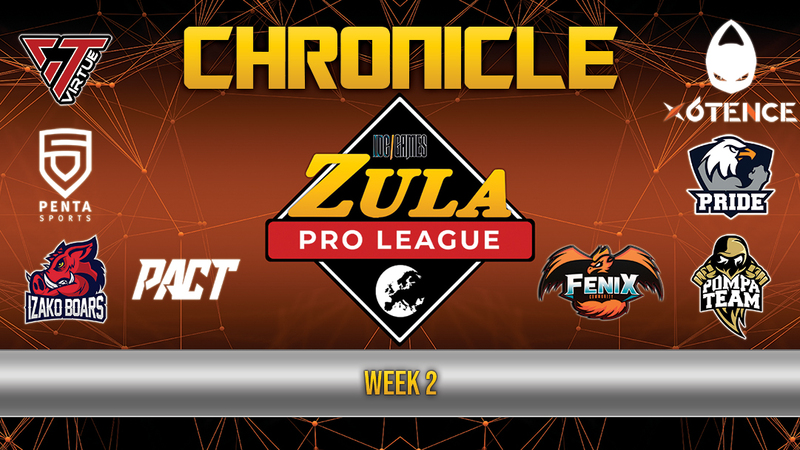 The third match of the second week of the Zula Europe Pro League was a derby between two Spanish organizations, x6tence and Fenix Community Esports. In China, both teams carried out very good performances both in attack and in defense forcing an overtime to know the winner. In the defense phase x6tence lost 5 rounds and with the change of roles, we could see the same thing, but conversely, Fenix fitted another 5 rounds. In the first part of the overtime, x6 managed to win 2 of the 3 rounds and they only needed 2 more in the second part to win with a result of 13 to 11. In Favela, x6tence started as an attacking team getting 7 rounds in attack and in his turn of defense they did not fit any round, so they got the victory with a crushing result of 10 - 2. The last match of this week faced Izako Boars against PRIDE. In Favela, the eagles managed to successfully defend the attacks of Izako Boars in 4 rounds, for which they received 5 points against. In the swap of roles Izako Boars showed a great defensive tactic fitting only two rounds and getting the victory with a result of 10 - 6. In Old Town, Pride could score 4 rounds in his turn of attack, but they were not enough to stop the subsequent attacks of Izako Boars, who ended up reaching the victory with a result of 10 - 6. 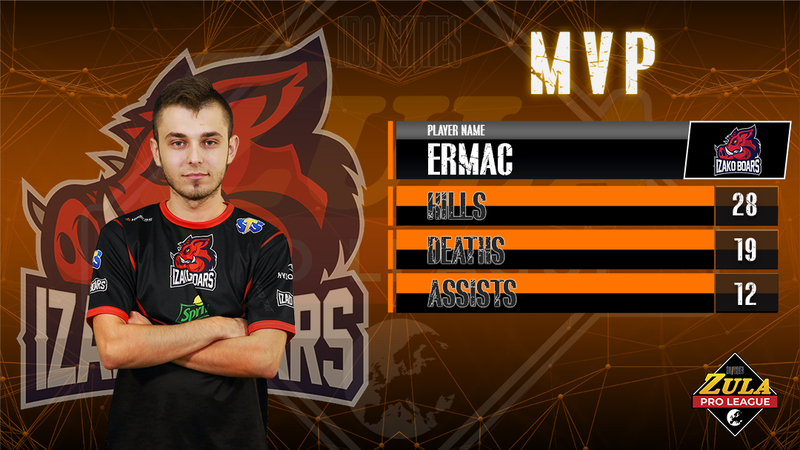 The MVP of week 2 has been ERMAC. Thanks to his magnificent plays was the key to victory for his team.